It turned out that I had to be in the air on both Mother’s and Father’s Day this year. Not by choice, but by necessity. It is only appropriate I follow my previous post for Mother’s with some thoughts for Fathers while up in the clouds. Last week I attended the National Foundation for Autism Research Father’s Group where I am a member. I was fortunate to have been the presenter there a month ago with the debut of my new book. What is amazing about this group is that it is a bunch of men who share significant challenges. And despite all of our tendencies to mask our pain, we find great comfort in socializing with others that can relate to our individual challenges. It is this sense of community that allows us to take a break from the struggles and share a beer and our stories together. We are indeed capable of bonding and opening up, and it is obvious that everyone feels good when we are comfortable doing this. Unfortunately these opportunities seem to come few and far between. So what make’s a special father? One element is our desire, above all else, to place the needs of the family and children above our own. We live in a world and country which places great emphasis on me..me..me. The demands of our jobs have placed growing demands on our time and brainpower. As breadwinners, whether solo or joint, maintaining a good job and benefits for our family is both critical and challenging. Managing finances for many is difficult today as we balance between monthly payments and our family’s needs. This all results in high levels of stress that we are somehow required to manage with little time for ourselves. For many years this was a key factor in men living shorter lives than women. It was part of the sacrifice we were willing to make. 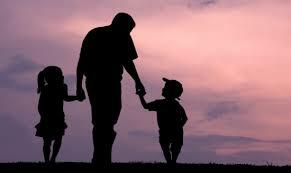 Caring and devoted father’s make this choice every day. My commentary to fathers relates to reminding them how important it is to maintain some degree and focus on their personal and spiritual growth. We must maintain a strong foundation to continue to bear the weight of the demands that we accept. Part of this foundation is understanding our personal strengths and development areas. During a recent presentation with a group of men, I asked them to take some time to consider their strengths. Not surprisingly, this was challenging since for many, they had never stopped to consider this. There were feelings of jubilation as many shared what their strengths were. These are the footers that hold up our foundation and it is important to recognize these in order to use them effectively when confronted with challenges. The next step was to reflect and identify our weakness, or as I like to refer to them, our development opportunities. I asked them to reflect on their relationships, fears, temperament, or any other factor where they recognized that they personally struggled with. Those that volunteered to share created a whole new level of openness within the group. We talked about how our weaknesses if not dealt with, could develop cracks in our foundation, weakening our ability to persevere. Our key realization was that in order to continue to be there for our family and children, we had to at some level take care of ourselves in order to keep our strength. Here is to my brothers who brave the challenges in an often thankless effort. Here is to your continued courage to take care of yourself so that you can continue to be there for others. Here is to our growing ability to open ourselves to each other and learn to be there for each other. 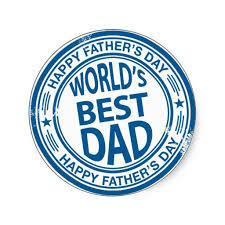 Here is to you Father!! Previous Previous post: How can we find greater levels of happiness, love, meaning, joy and purpose in our life?